All praise is due to Allah (subhanahu wa ta‘ala), who sent messengers for the guidance of mankind and favored us with the best of the messengers, our noble Prophet Muhammad (sallallahu ‘alayhi wa sallam). Through him, Allah (subhanahu wa ta‘ala) blessed us with the gift of Islam. 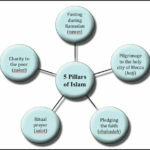 Islam is a complete and perfect way of life, and it is suitable for all times and places. It offers humanity peace and tranquility in this world and ultimate success in the hereafter. To truly understand Islam, the key to eternal felicity, gardens of knowledge must be cultivated where in the seeds sown today can sprout and blossom into the flowers of tomorrow. Seeing the death of proper islamic environment to educate our Islamically impoverished Muslim youth. With the help of Allah (subhanahu wa ta‘ala), Darul Uloom Michigan was founded in 2014 as a humble attempt to address this concern by providing authentic Islamic education in an Islamic environment. Darul Uloom Michigan has been sincerely serving the Muslim community since its inception, and by the grace of Allah (subhanahu wa ta‘ala), it is now a notable Islamic seminary with students of all ages from across North America.